Many laws at both the federal and state level are antiquated and no longer relevant. Although there is a question of whether the Constitution is a living, breathing document or whether it needs to be followed strictly as written, very few law scholars would disagree that as social mores, technology, and times change, the law needs to be altered once in awhile. Nowhere is that more apparent than in divorce law. There was a time when divorce law was more about property. In fact, when marriage was first legislated, women were given very few rights if they left a marriage. Since the law used to see a woman as the property of her husband, leaving a marital union was nothing short of sealing your fate for a woman, regardless of the circumstances. Things have come a long way since the first divorce laws were drafted. But in many other ways, they have not changed much at all. 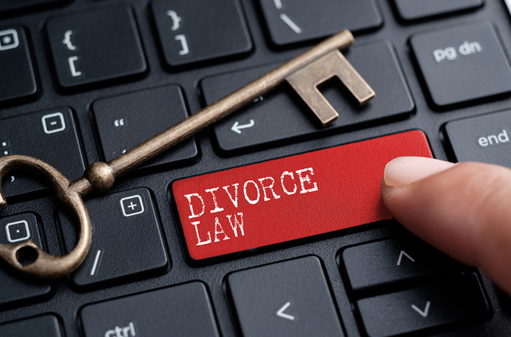 Since divorce laws are typically determined at the state level, each state can have different legalities from its neighbor. This means that whatever you agree to when you sign a marriage contract, it can completely change if you move from one state to another. Some states have no-fault divorces, and others have waiting periods that can be very time-consuming. There is a debate amongst divorce lawyer and legislation, about whether waiting times and other legalities help to keep a family intact or end up hurting everyone more in the end. Divorce is never an easy decision, either financially or emotionally. Although statistics say that 50% or more of all marriages end in divorce, trying to legislate the process may not have an effect on the overall outcome. You can’t legislate love or the desire to spend your life with someone, nor can you make two people share a space if that is not what they want — or can you? Tini Owens is one woman who is in a situation where she no longer wants to be, due to her petition of divorce, being denied. Many cannot imagine not wanting to live with someone or be bound to them forever, but what about having a judge tell you that you must? That is exactly what happened in this case. Many legal scholars are taking pause to rethink the role that judges, and government in general, should have in marital unions. Are they nothing but contracts according to the law, or can they go against the basic human rights outlined by the Constitution of seeking life, liberty, and the pursuit of happiness? Mr. and Mrs. Owens have been married for 30 years, and when Mrs. Owens claimed that she no longer wanted to be married, the courts said “too bad.” Her husband didn’t want to separate, and since he wasn’t the one who had an extramarital affair (she did), there was no legal reason to grant her petition. Therefore, she has been ordered to stay with her husband. The judge in the case maintained that Owens’ allegations against her husband were nothing but hyperbole and that those types of minor complaints are bound to happen in a marriage. The judge did not see it as more than a quarrel, and not as a sufficient cause to end such a long relationship. The problem is that Mrs. Owens no longer wishes to be married. Although this particular case is happening in the UK, the same circumstances could occur in many states in the US if laws are not altered to keep up with the times. The fact is that marriage is is entered into by two people. There is no reason that any court should have jurisdiction over love, or who you can and can’t live with. Waiting periods, fault categories and other types of obstacles have proven to have very little effect on whether or not people stay together. Although turning the matter over to the federal government doesn’t seem to be the answer, there needs to be some consensus overall about what is humane and what isn’t. Divorce is harmful both financially and emotionally to families. Minimizing the hurt should be dealt with on an individual case-to-case level, not as a broad and sweeping generalization aimed at controlling with legislature the decisions people make in their own homes.